Oksubmitted by John C. - Mar 25, 2019 |Recommended: NoMaintenance and staff do not respond in a timely. The apartments are spacious. Office is good but maintenance is very slow to fix thing or they don't come at all.submitted by Frank C. - Mar 20, 2019 |Recommended: YesGood place to live. Affordable, Safe, and Friendly Apartment Communitysubmitted by Aakash P. - Feb 02, 2019 |Recommended: YesUnion Grove is an affordable, safe, and friendly community to live. The staff, customer service, and maintenance is helpful and timely on most issues. For the newly renovated units, appliances are brand new and of high quality. The greatest inconvenience is that packages delivered to the leasing office are unable to be retrieved after 6pm. I have lived in Union Grove for 6 months.submitted by Taylor G. - Jan 30, 2019 |Recommended: YesIts okay. However several days, on very cold days the heat or hot water won't work. The hallway is kinda gross,people leave their trash by their doors. One neighbor right next door left it for a whole week. My apt is right next to the door so it's very loud. And in the kitchen I can hear my neighbors so clearly. Nice .... like all the trees...submitted by Walter L. - Nov 23, 2018 |Recommended: YesGood and area is good, close to police station also. Reviewsubmitted by Kyle B. - Oct 22, 2018 |Recommended: NoShotty upkeep on supposedly redone apartment. Great Managementsubmitted by Ashley S. - Oct 15, 2018 |Recommended: YesI lived here for a year until I needed to move closer to where I found a job. This place was great. The management was very helpful. Maintenance was always done in a timely fashion. I never had a problem living here in the entire year. Quiet living and clean friendly environmentsubmitted by Ian T. - Aug 31, 2018 |Recommended: YesIt's about 2 years now and I don't have much issue with the quality of living here at Union Grove apartment. The complex has newly installed fire prevention devices and measures. The fire department are also quick to respond. Tenants are friendly and considerate. The lawn and outside environment are well maintained and clean. Lots of parking spaces available for all the tenants and the office and maintenance staffs are responsive and professionals. The apartment is nearby shopping centers and restaurants. A pleasure to reside here and for more years to come.  Quiet Community and Clean Environentsubmitted by Severino T. - Aug 31, 2018 |Recommended: YesI have been living here in Union Grove apartment complex for a couple of years now and so far I have no serious complaints about the quality of living here. The apartment unit is affordable and the outside environent and landscaping are also well maintained. The neighbors are very friendly and quiet. The complex and each units have newly upgraded fire prevention devices and measures. The fire department also responds right away to fire alarms. Lots of parking spaces available and nearby shopping centers and restaurants. A pleasure to reside here and for more years to come. This property is full of friendly neighborssubmitted by Joshua Y. - Aug 08, 2018 |Recommended: YesThis is a great apartment complex. I only wish that parking was more abundant. Sometimes I have to walk a few blocks away from the apartment to park. The people are great. The apartments are spacious and great. The service is quick and friendly. Sometimes theres a delicious food smell running through the hallways. But on bad days there's bad smelling smoke which is not allowed in the first place. Staff is friendly and helpful. It's not the perfect home but it is a place that I enjoy.